It’s been a few days since I’ve written a post as I have been fully focused on the new Mind Alchemy program that’s just been released. However this article kept on tapping me on the shoulder saying “˜I think you should write this.’ So I have decided to listen to my intuition and just write it. I had a fancy email to send out to remind readers what the Mind alchemy program was all about and at that particular point my partners and I had about 32 sales of Mind Alchemy, not great but still good for the first edition of the paid version of the course. I was about to send out an email with some contrived copywriting and my intuition said “˜Listen, just tell everyone how mind alchemy came about and tell the real story about you ,and how far you’ve come in life.’ I sat down and wrote the email in about 10 minutes, straight from the heart, even though I’ve told the story before. I almost advised readers not to buy the course if they didn’t feel in their heart it was right for them. The result was another 52 sales in the next 24 hours, obviously with the help of my partners. The point is not about the sales, but about listening to my intuition and trusting it to help when I needed it. It’s also about being inspired and listening to that inspiration when it strikes. 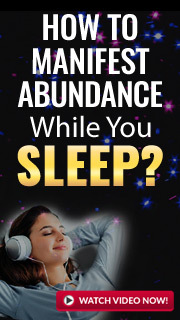 Another example is another product that came directly from doing the launch of Mind Alchemy. My unconscious kept telling me “˜Are you going to write a product about how to make cartoon videos?’, I kept ignoring it, thinking I had far too much on my plate just now, but oh no!, that little voice kept bubbling, saying I should write this product and show other marketers how to do this. I have since listened to it and started making the product with my son, who is going to do some voices for me on the videos. All too often we get a feeling about something, but our logical brain takes over and tells us not to listen to a feeling. After all, why should we listen to a feeling when it doesn’t deal with the real world? The feelings we get sometimes, are reminders, I believe, that we are connected to something much bigger than us. If we learn to listen to those feelings and act on them, we develop an almost sixth sense and hone it the more we listen to it. I call this ‘Crossing the Bridge Technique’ as it bypasses the conscious mind altogether, and goes straight to the unconscious mind. One thing to do here is to keep the conscious mind busy, as it will throw up all sorts of logical, immediate answers to the question you ask to the unconscious mind. That might sound a little strange, but I’ll give you a perfect example here. Have you ever been speaking to someone from your past and thought ‘what the hell is this person’s name?’, your logical, conscious mind racks it’s brains for the answer but it just isn’t coming. You try for a few hours to no avail, you’ve flat out deleted that person’s name from your memory banks, or so you thought. You then turn the question over to your unconscious mind, and let it search about for the answer whilst you busy the conscious mind with some task. Suddenly the name of the person comes to you, and you feel relieved. Let me know what you think about this and your experiences.